Alexander Vikman 3,600.00 15 2011-06-01 -- https://web.archive.org/web/20160630004923/http://theissresearch.org/organization/grants.php -- For Galileon Workshop and United States Visits (2011-00487), Foundational Questions Institute. Joy Christian 12,000.00 11 2011-03-01 -- https://web.archive.org/web/20160630004923/http://theissresearch.org/organization/grants.php -- For A Book on Bell's Theorem and Quantum Entanglement (2011-00493), Foundational Questions Institute. Edward Rietman 10,000.00 12 2011-02 -- https://web.archive.org/web/20160630004923/http://theissresearch.org/organization/grants.php -- For Experimental modulations of optical space in acoustic metamaterials, Submeta. George Musser 2,500.00 16 2011-02-01 -- https://web.archive.org/web/20160630004923/http://theissresearch.org/organization/grants.php -- Travel Support for Outreach on Quantum Foundations (2011-00489), Foundational Questions Institute. 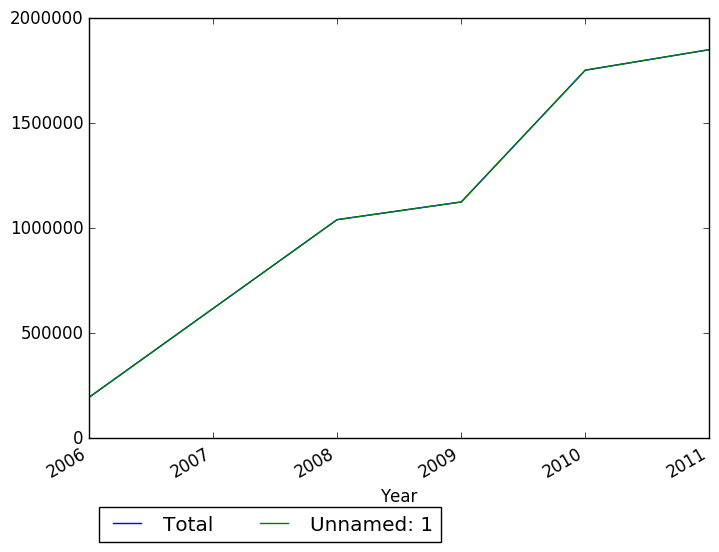 Max Tegmark 68,082.00 8 2011-01-01 -- https://web.archive.org/web/20160630004923/http://theissresearch.org/organization/grants.php -- For Undecidability in a Mathematical Universe (21912), John Templeton Foundation. 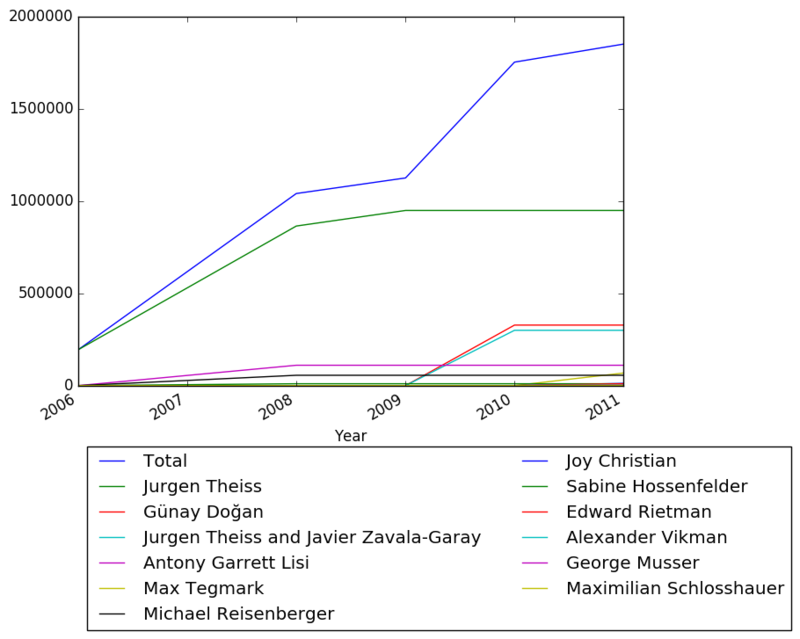 Maximilian Schlosshauer 1,500.00 17 2011-01-01 -- https://web.archive.org/web/20160630004923/http://theissresearch.org/organization/grants.php -- For Interview Book on Quantum Foundations (2011-01717), Foundational Questions Institute. 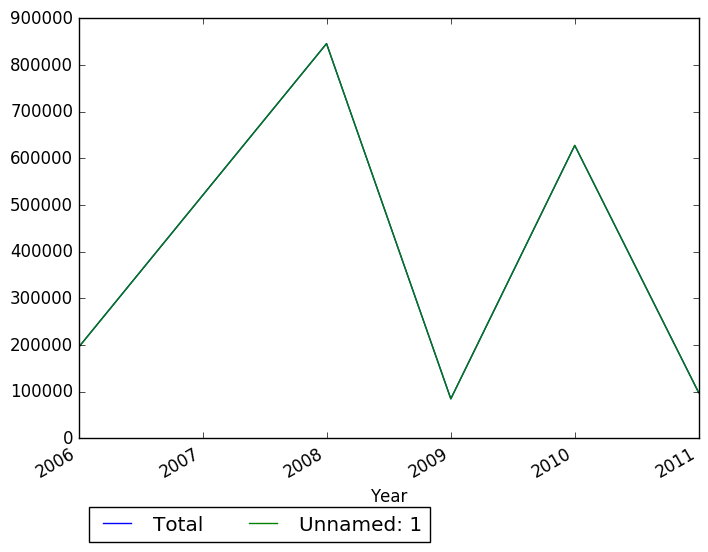 Jurgen Theiss and Javier Zavala-Garay 299,618.00 3 2010-03-01 -- https://web.archive.org/web/20160630004923/http://theissresearch.org/organization/grants.php -- For Stability Analysis of the Western Boundary Currents in the Tropical Indian Ocean (OCE-0927472), National Science Foundation. Günay Doğan 327,830.91 2 2010-01-01 -- https://web.archive.org/web/20160630004923/http://theissresearch.org/organization/grants.php -- For Advanced Image Processing and Computational Modeling Techniques for Analysis of Real Microstructures (70NANB10H046), U.S. Department of Commerce - National Institute of Standards and Technology. 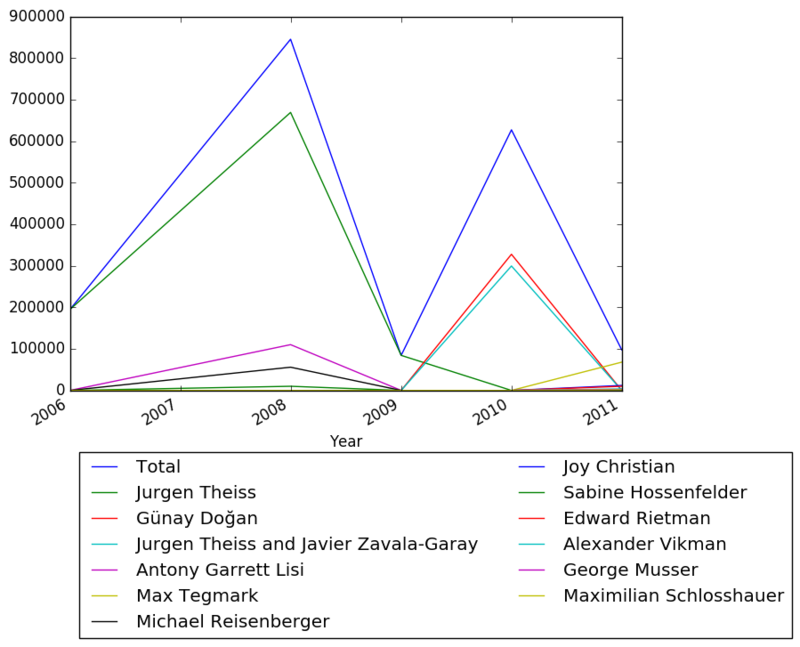 Jurgen Theiss 84,398.00 6 2009-03-01 -- https://web.archive.org/web/20160630004923/http://theissresearch.org/organization/grants.php -- For The equatorial surface velocity field derived from satellite altimeter observations (OCE-0851493), National Science Foundation. Antony Garrett Lisi 8,000.00 14 2008-12 -- https://web.archive.org/web/20160630004923/http://theissresearch.org/organization/grants.php -- For Science Hostel, Foundational Questions Institute. Sabine Hossenfelder 10,000.00 12 2008-10 -- https://web.archive.org/web/20160630004923/http://theissresearch.org/organization/grants.php -- For Sociology of Science: Intrusiveness of Scientific Measures on Research, Submeta. Michael Reisenberger 55,918.00 9 2008-10-01 -- https://web.archive.org/web/20160630004923/http://theissresearch.org/organization/grants.php -- For Classical and Quantum Gravity Without Constraints (RFP2-08-24), Foundational Questions Institute. Antony Garrett Lisi 77,222.00 7 2008-09-01 -- https://web.archive.org/web/20160630004923/http://theissresearch.org/organization/grants.php -- For E8 Theory, Foundational Questions Institute. Jurgen Theiss 519,609.00 1 2008-09-01 -- https://web.archive.org/web/20160630004923/http://theissresearch.org/organization/grants.php -- For The Potential Vorticity Staircase: Formation and Maintenance of Zonal Jets (ATM-0827210), National Science Foundation; subaward of $48,630 to Theiss Research. Jurgen Theiss 149,805.00 5 2008-08-01 -- https://web.archive.org/web/20160630004923/http://theissresearch.org/organization/grants.php -- For IRES: International Research Experiences for Students: Coastal Oceanography in East Africa (OISE-0827059), National Science Foundation. Antony Garrett Lisi 25,000.00 10 2008-05 -- https://web.archive.org/web/20160630004923/http://theissresearch.org/organization/grants.php -- For Further Development of E8 Theory, Submeta. Jurgen Theiss 195,037.00 4 2006-03-01 -- https://web.archive.org/web/20160630004923/http://theissresearch.org/organization/grants.php -- For Equatorial Macro Turbulence: Extending Mid-Latitude Macro Turbulence Studies to the Equatorial Region (OCE-0550658), National Science Foundation.